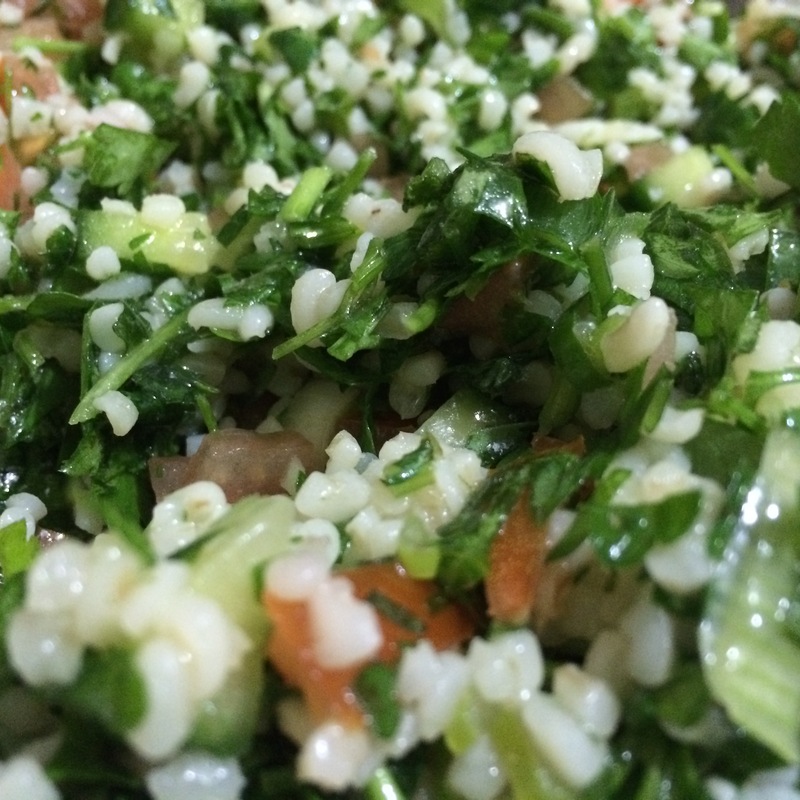 I am completely obsessed with tabbouleh! It’s a lovely green salad with a LOT of herbs (parsley and mint), bulgar wheat, tomatoes, cucumbers, spices and lemon. It’s a Middle Easter salad that is usually served as part of a meze. It’s really simple because it’s really just all the ingredients chopped up, mixed with the salt, pepper, garlic, oil and a squeeze of lemon, but it’s really amazing. It’s a bit prep-heavy because you’re chopping veg and the herbs into tiny bits and having to cook, drain and cool the tabbouleh, but it is certainly worth it. Once the salad has been cooled and you take a mouthful, it’s a party in your mouth! It’s a great side to a kebab meal or grilled or roasted meats or on its own. I am all for simple, no-fuss, minimum prep dishes, but give me a chopping board and tabbouleh ingredients and I will happily mince the ingredients because the prep is so worth it!